For over 25 years, Chef Rob Larman has been a creator of memorable food experiences in the San Francisco Bay Area. Born in Southern California, he grew up in San Francisco and is a graduate of the Culinary Program at City College. 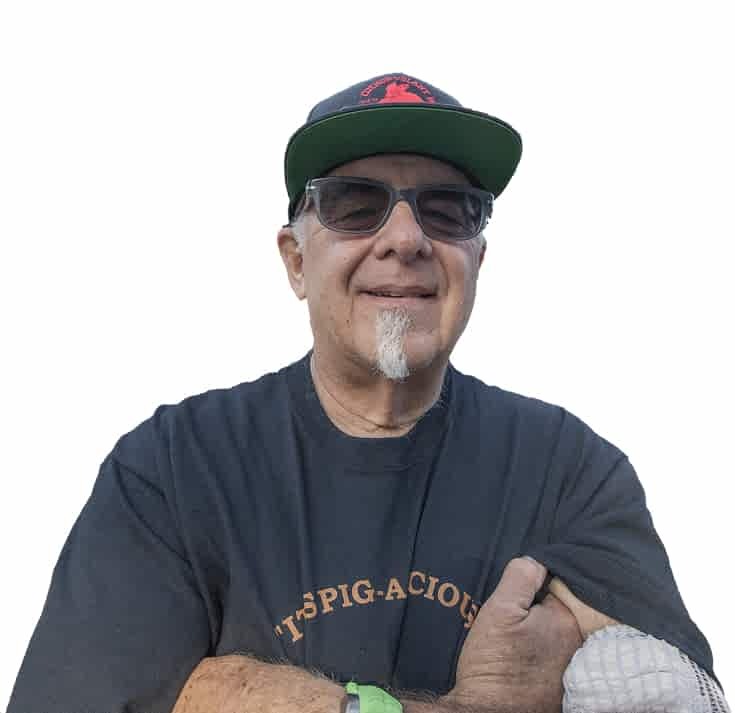 As a chef and restaurateur, he as worked at some of the Bay Area’s highest profile kitchens such as Kuleto’s in San Francisco and Casa Madrona in Sausalito. His purpose in life has always been to create fresh, flavorful, locally sourced dining experiences for people. Chef Rob Larman’s culinary artistry entices customers to return for more whether at his past dining venues or at his current mobile catering, Cochon Volant BBQ. In his spare time, Chef enjoys his loyal, man’s best friends, Wiredhaired Pointing Griffons, “Roscoe” and “Dixie Chick” who love to chase birds with him during hunting season. He enjoys the ocean and Sonoma, Napa Valley rivers where he restores his creative talents while being captain of his own boat. He is happily married to his wife, Lizzy and they live in Sonoma, California. You may have enjoyed restaurant La Poste, in Sonoma on Broadway, the relaxed ambiance and romantic French bistro cooking by Chef Larman. Or if you grew up in the Sonoma Valley you may remember Rob’s Rib Shack off of Arnold Drive, “Killer Fries”, ribs, fried chicken or those delicious garlic mashed potatoes. Perhaps you were lucky to enjoy Cochon Volant BBQ at Sonoma and Napa Valley Winery Harvest Parties or corporate event, and tasted the delicious, memorable food and can’t find another BBQ taste like it? Chef Larman’s followers have been asking for a place to regularly enjoy his slow cooked BBQ meals, and with the increased demand for Cochon Volant BBQ’s catering, it has come time to open a new home for the public to enjoy a dine in or take-out experience of yumminess on Highway 12 in Sonoma, California! Welcome to Cochon Volant BBQ Smokehouse. . .